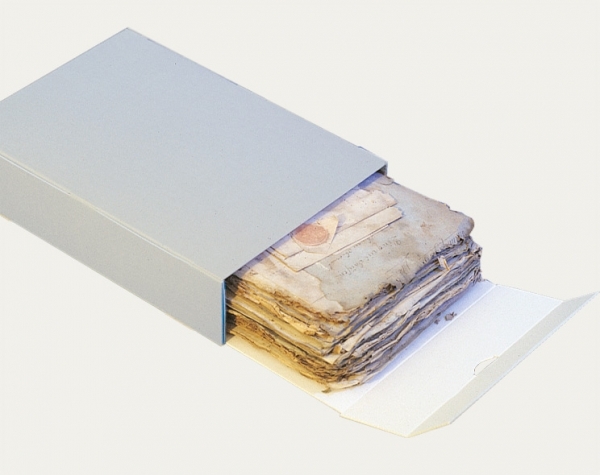 An archival box made of two parts, the corpus includes a slide-in base tray (can be pulled out) with drop-front and attached flap. 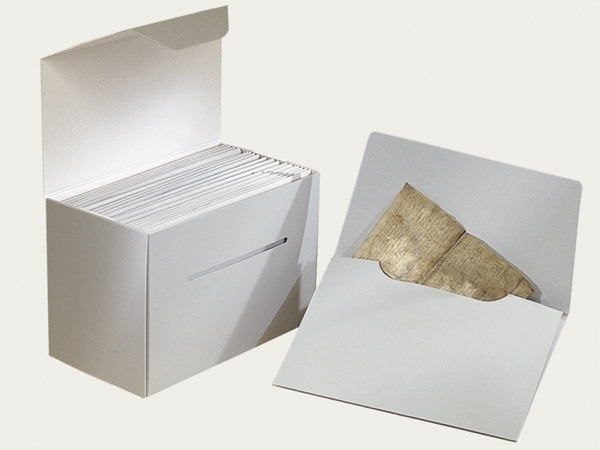 Ideal for the storage of expansion folders, unbound and loose-leaf collections and newspapers. 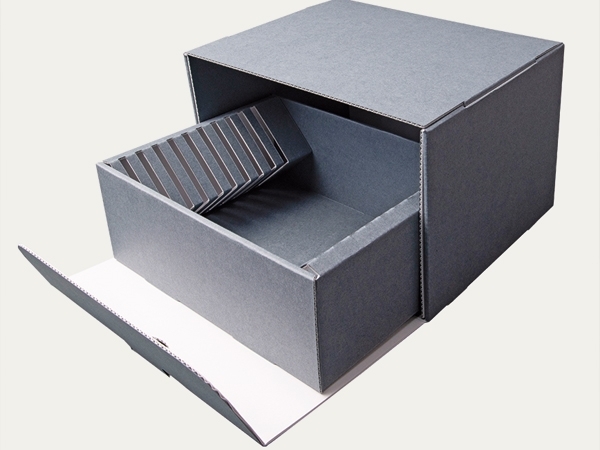 For storage purposes the boxes can be stacked horizontally, one upon each other. 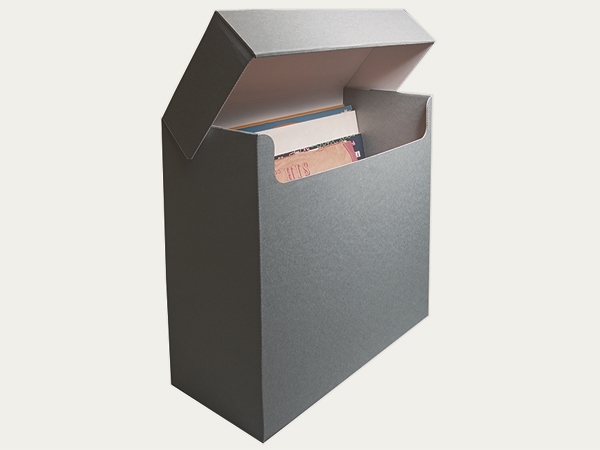 Also available as a drop-front single piece with an attached flap. 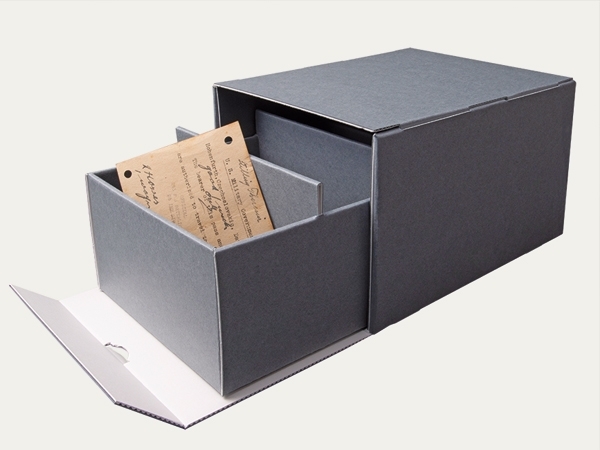 Two-piece archival box, comprising a drop-front corpus and an inner pull-out box, for the vertical storage of postcards, prints and glass plates. 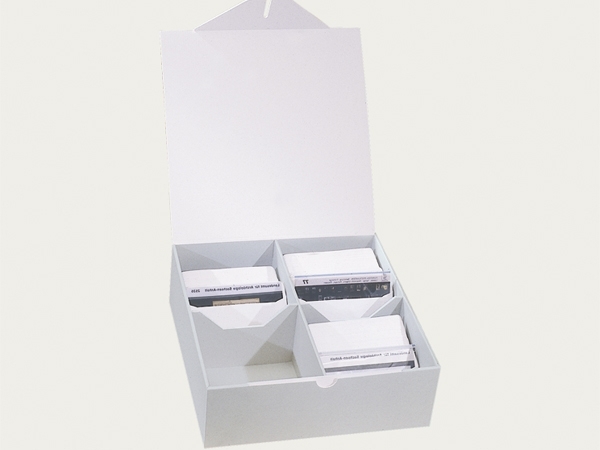 The fixed dividers between the compartments keep the objects upright, even if the inner box is not completely filled. Stackable. The corpus acts as a placeholder on the shelf.